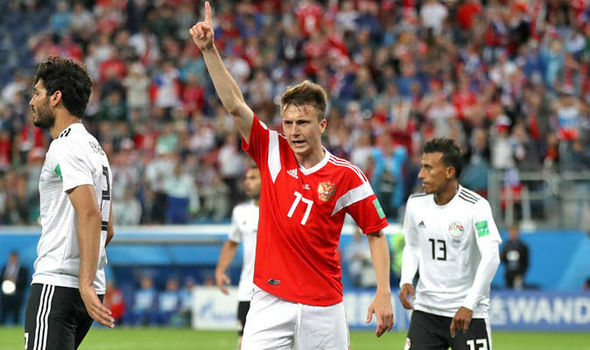 Chelsea key target Golovin has snubbed the Blues in favour of a move to French giants Monaco. The 22-year-old had been widely expected to join Chelsea this summer after reports claimed a fee had been agreed with Russian club CSKA Moscow. According to Nizaar Kinsella of Goal, Golovin is set to undergo a medical at Monaco. Kinsella revealed that Golovin baulked out of the transfer due to fear about playing time. Chelsea have an abundance of midfielders which includes Jorginho, Cesc Fabregas, Danny Drinkwater, Ross Barkley Ruben Loftus Cheek and N’Golo Kante currently in their employ. Golovin feels that Monaco would give him better opportunities to express his talents next season. He also revealed that Juventus were initially interested in the midfielder but cool down interest due to Chelsea’s interest. It looks like the Blues have lost out as Monaco Chief Micheal Emenalo has pulled a fast one on his former employers. Chelsea have lost out on several midfield targets this summer including Seri, Fred and now Golovin. They would have to turn their sights to other targets with Lyon ace Nabil Fekir reportedly on the radar of the Blues. Sarri has already made a signing bringing Jorginho from Napoli for a reported fee of £57 million.